The school choice movement has gained political momentum in recent years, having established programs in Milwaukee, Florida, Texas, and elsewhere. Yet, as economist John Merrifield argues in this detailed analysis, today's school choice programs are nothing like the “free market in education” envisioned four decades ago by early proponents of school choice. Rather, they are mired in false alternatives, petty distinctions, and diminished vision, and in their present form are doomed to fail as have so many other government programs. 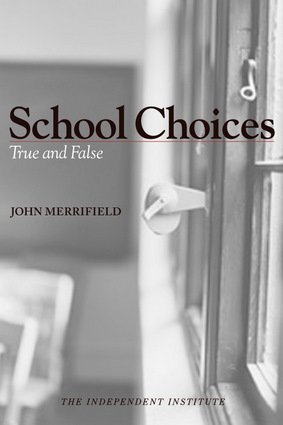 In this text, Merrifield argues for the reformation of the school choice alternative and the eventual establishment of a freely competitive market for education, charting a course for the achievement of this goal. John Merrifield is a professor of economics at the University of Texas–San Antonio and a senior research associate at the Education Policy Institute in Washington, DC. He is the author of The School Choice Wars.